Home / Latest News / More good news. Well, we promised you two adoptions today but in fact we have four to tell you about. First up was Elmo. He is a fabulous german pointer, who arrived relatively recently, but very underweight. 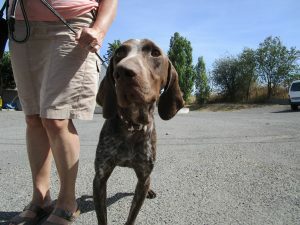 It has taken him a couple of weeks to recover and during this time he turned the heads of the family who had adopted Choco, another german pointer, some months ago. They came with their dog on Monday to test compatibility, but we were already confident that things would go well; both dogs are very easy-going and Elmo has been sharing his kennel since shortly after his arrival. Today Elmo left for his new home where he will soon be playing with his new pal. Next to leave was Mowgli, now called Rex. 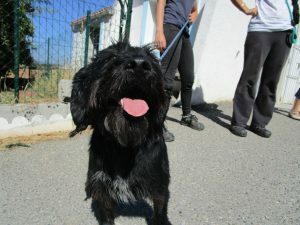 He is a fabulously moustached small griffon cross who appeared a bit nervy in his kennel but was quite another beast outside. 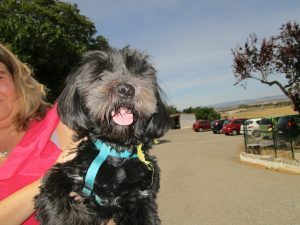 He is sweet and affectionate and he was loving all the attention he was getting from his new family today. Next to leave was Nick, or rather Jackson, as he is called as of now. He was reserved on Sunday, but, as mentioned in the blog, he needed to see the vet one final time before leaving for an injury to his neck. We are very pleased that Nick has found a home; he had clearly been loved before arriving at the SPA and seemed to be very ill-equipped emotionally to survive without human affection. He will be happy to have a loving home, as no matter how hard we try, with 130 dogs at the SPA, it is impossible for the employees and volunteers to give all the dogs as much affection as they want. 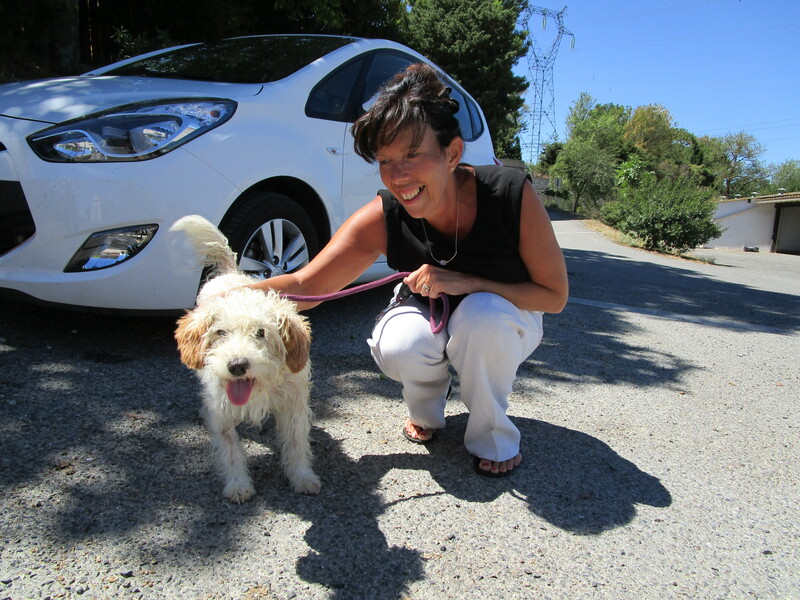 Last but by no means least we said goodbye to Flossie. This beautiful brindle coloures spaniel cross arrived at the end of June and we were initially hopeful that she would be reclaimed. 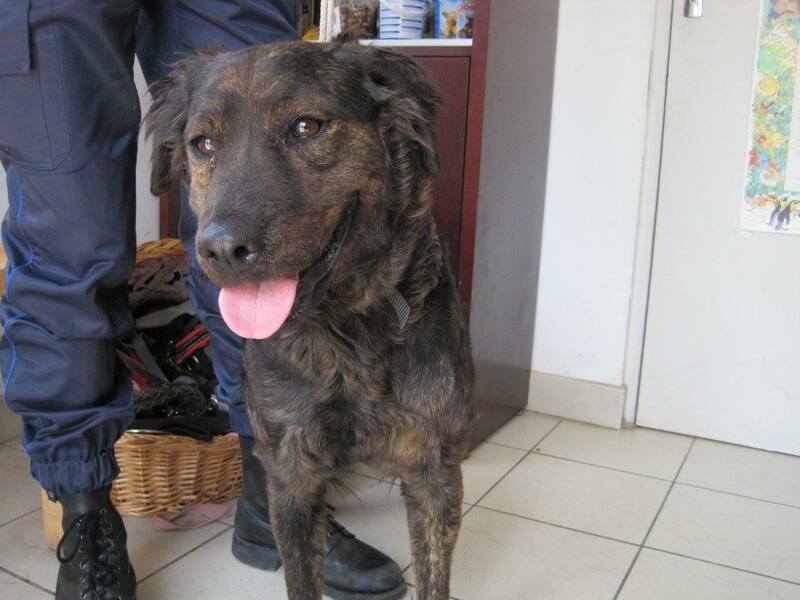 She had been collected once before when she was taken to the mairie of her local town, but as her owners STILL didn’t bother identifying her, we had no way to contact them. Flossie now has a new home. And of course she is now sterilised. Win win. We had one new arrival, but unless you are very quick, he will be gone. A one year old pedigree lhassa apso will not be with us long.